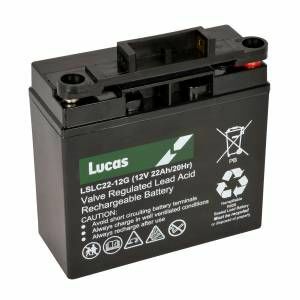 Designed for use in all types of golf trolleys, carts, buggies and scooters, the Lucas golf battery is the ultimate in reliability, power and long-lasting life, all at a great value price too. If you are looking for a high quality replacement battery for your golf equipment but don't want to pay a premium price, then the Lucas brand is the one for you. Featuring universal adaptors which make them easy to fit to devices which use different connectors, Lucas golf batteries are ideal no matter what type of trolley or cart you own. The deep cycling capability of the Lucas battery ensures it offers more power than other types of golf battery. Additionally, the life cycle of Lucas batteries is longer than many other brands, giving you more rounds of golf in the process. Using the latest AGM (Absorbed Glass Matt) technology, Lucas batteries are completely maintenance free, allowing you to concentrate on your golf game. At Battery2U, we have the widest selection of premium brand batteries on the internet and deal directly with battery manufacturers, allowing us to offer you the best deals possible. Our wide selection encompasses a range of brands which will suit all budgets.